The Samsung Level U earphones are great for people, who are looking for a decent Bluetooth earphone within budget and do not want to listen to a lot of music when they are out. However, most of the sound produced by the earphones get disturbed, due to background noise, and thus, unfortunately, I must conclude, the Samsung Level U don’t even come with passive noise cancellation. When the life is full of wires everywhere, it is indeed a great idea to cut down some wires from the life, by going for some wireless or Bluetooth operated gadgets. With the same intention, and for a better experience of listening to music, I purchased a Samsung Level U earphones 6 to 7 months ago, and I have heavily used since purchasing. After using it for 6 or 7 months now, it is time I am writing a full-fledged review about it, which will include the things I liked about it, and the things I disliked about the earphone. Samsung Level U is a medium priced Bluetooth earphone, and I purchased it for Rs. 2,300, and it is the pretty good product for most users. I don’t know whether the same model is available at present or not, but there are obviously some models of Samsung Level earphones, which you can go for. But wait, read the review here first, and then go for it. Yes, it is you, who will take the final decision, whether to purchase it or not. I will be giving you the unbiased review, which will certainly be useful for you to take your decision of purchasing. Without wasting any more time, let’s move on to the package contents. 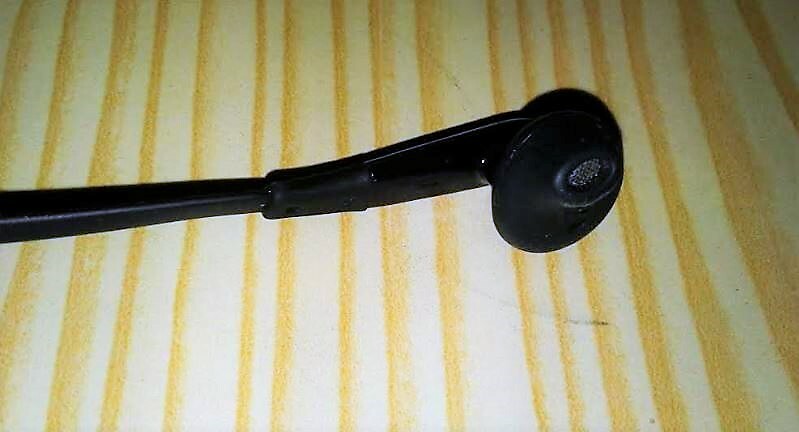 The Samsung Level U is a mid-range earphone, and it comes with an around the neck design, which most premium Bluetooth earphones come with, nowadays. The build quality is great, at least for this price range, and is integrally made from plastic and rubber, which makes it strong and flexible at the same time. Moving on to the essential part, the type of ear tips, you will get from the Samsung Level U, is the Hybrid Open Type earphones, which means, which means an integral part of the earphone will be outside the ear hole, and a small part will throw sound into the ears. The ear tips are really lightweight, making it comfortable to wear, in the ears. It also comes with inline remote, with the three multifunctional buttons, where the first button can be used for accepting calls, playing and pausing tracks and long press for the purpose of pairing. 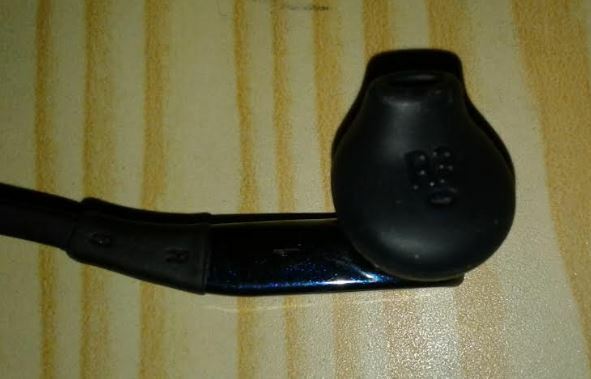 The plus key is used to increase the volume of the Bluetooth earphone, and for moving to the previous track, while the minus key is just used for the opposite purpose. Yes, it is used for the purpose of decreasing volume, and for moving on to the previous track. The Samsung Level U comes with a 190 mAh battery, which was successful in giving almost 8 hours audio back up, with more than medium volume. The earphone comes with a dual color LED, i.e. red and blue. The blue light will blink at certain intervals to show, the device is powered on, and the LED will blink red, when the battery is low and will show a solid red LED at the time of charging unless the charging is complete when the LED will turn solid blue. The LED is placed just in front of the body, which means, the blinking LED will not be a cause of irritation, for others. A small switch is placed, to turn the device on and off, and pairing the device is quite simple. It was all about the physical overview of the earphone, and trust me, it looks pretty premium and stylish. Now let’s find out the pros of the Samsung Level U Bluetooth earphones. The earphone has a good amount of bass, and if you are like me, who love beats, the Samsung Level U is the best fit for you. The Hybrid Open Type Earphones are pretty lightweight, and you will hardly feel the presence of an earphone within the ears. The earphones can give you a great experience of listening to music if you are using it within the home, or at a place, where the background noise is not that high. The frequency response is pretty good, and I can listen to almost all kinds of musical instruments in a song while using the earphone. The quality of the microphones present in the Samsung Level U earphone is pretty great and is quite helpful for making high-quality calls. Yes, there are 2 microphones. Noise cancellation and echo cancelation are also present in the Samsun Level U earphones. It can even be used for making VoLTE calls. Close to, or more than 8 hours of battery backup, which is indeed great, and you will hardly need to charge it regularly unless you listen to music all the day long. I generally forget to charge the device, for its long battery backup. The length of the wires is quite long, which can be helpful to keep the buds within the ears, even while looking around. Due to the flexibility and lightweight nature of the earphone, you will hardly feel the presence of any earphone around your neck, which can be helpful, if you listen to music for long hours, and at the time of sleeping. The ear tips are equipped with magnets, which can get tinkled with each other when the earphones are not being used. Pretty helpful to keep the ear tips in position. Pairing is easy, as I already said. Two devices can be connected at once, which is pretty handy for users, who own more than one device. Just like every electronic gadget, the Samsung Level U has its own cons, as well. Let’s find out whether the pros outweigh the cons, or the opposite happens. The Hybrid Open Type Earphones can be great for some users, but, frankly speaking, it is not great for me, as the earphones slip out of my ears every five minutes, which is pretty irritating for me. 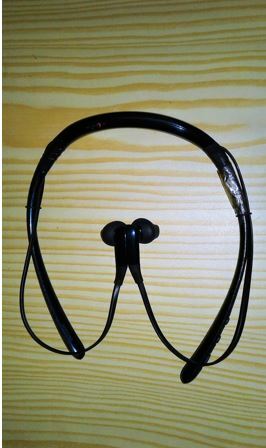 It also makes the earphone, a bad choice for those who want to listen to music at the time of working out. There is no doubt, the Samsung Level U has a great bass, but it lacks adequate loudness. If you are traveling in a train or is in a place, with a lot of background noise, you can hardly listen to the sounds of this tiny beast. The ear tips, which are made from rubber, and placed around the ear tips, become loose every 14 to 20 days if used rigorously. It is another thing I dislike about the earphone. Though 3 to 4 pairs of ear tips are provided, that is not enough. Though you can always get ear tips for free if you visit your nearest Samsung Service Center. Though that is not a feasible solution. Though the earphone is pretty flexible, it is brittle, which is a downside. My earphone got cracked at the junction of the rubber and plastic. I am not sure, whether it was a manufacturing defect for my unit, but I, being the person reviewing it, will call it a con. Though most Bluetooth earphone nowadays does not come with any charging adapters, most of them come with a USB to micro USB cable for the purpose of charging. But this costly toy doesn’t come with that, and that is indeed something to complain about. The Samsung Level U earphones are great for people, who are looking for a decent Bluetooth earphone within budget and do not want to listen to a lot of music when they are out. The Samsung Level U earphones are indeed going to be a great choice for music lovers, as well, and those who want to listen to music, while working or studying, just like me. But if you listen to a lot of music while you are out, or at the time of working out, better go for an earphone, which is a little louder, and come with in-the-ear ear tips. The Samsung Level U could have been a great earphone, if it came with an in-the-ear design, instead of the Hybrid Open Type, even by keeping the loudness constant. Most of the sound produced by the earphone get disturbed, due to background noise, and thus, unfortunately, I must conclude, the Samsung Level U don’t even come with passive noise cancellation. Hope, this small review about the Samsung Level U earphones helped you, and now you can choose whether to go for it or not! Have any opinions about the product. Feel free to let me know in the comment section below.